In terms of individual professions, the recognition rate in Germany diverges widely. Over 90% of applicants who wish to acquire a license to practice as ergotherapists receive full equivalence. In most professions, the share of those granted full equivalence varies from 40% to 80%. In terms of individual professions, the recognition rate in Germany diverges widely. Over 90% of applicants who wish to acquire a license to practice as ergotherapists receive full equivalence. In most professions, the share of those granted full equivalence varies from 40% to 80%. In professions such as mason and pharmaceutical technical assistant, the success rate is remarkably low. 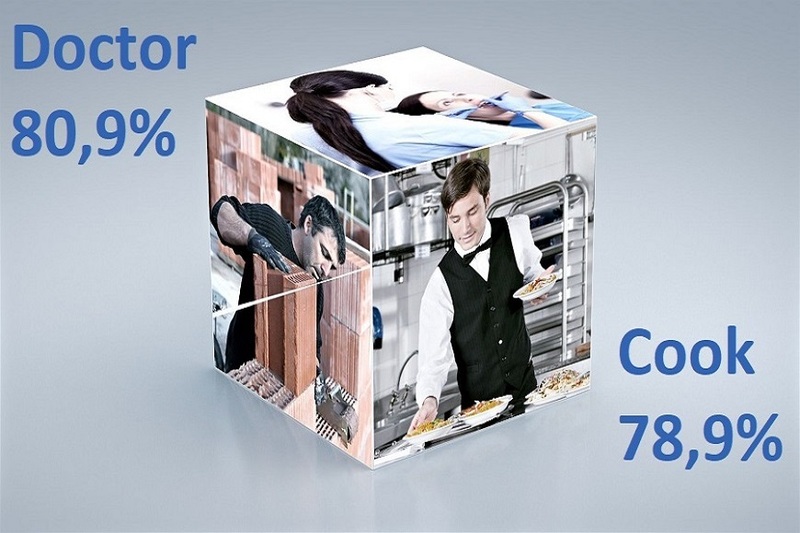 Only 24% of the applicants, who wish to work in these jobs, are granted full equivalence. Professions with at least 50 applications processed. The majority of recognition procedures concerned healthcare professions. Besides, a lot of applicants sought recognition in professions such as office clerks as well as electronics technicians, electrical systems technicians and motor vehicle mechatronics technicians.